Tim Braun serves as Enterprise Architect for EmNet, LLC, a Smart Water solutions provider serving the Clean Water Industry, which joined Xylem, Inc. in December 2017. Xylem and EmNet are Lead Partners of the SWAN North American Alliance, collaborating to accelerate smart water/wastewater development in North America through SWAN’s collective industry expertise and collaborative partnerships. Over the last few decades, hydraulic and hydrologic modelers have dramatically increased our understanding of urban watersheds; namely the built wastewater and stormwater infrastructure within their respective urban environments. These models have been manually tuned and calibrated using data from flow meters and other sensors, and adjusting available software knobs and levers to improve model accuracy, leading to better capital infrastructure planning. Additional, substantive improvements to the various modeling software platforms in recent years have yielded improved results and a more compelling user experience. Recently, however, giant leaps forward in computing power, combined with advances and cost reductions in sensor and telemetry technologies, have made it possible to go far beyond the status quo and break into a new echelon of opportunities. We can now run high resolution models in real time, with real world precipitation data, while correcting critical downstream model nodes with observed sensor data. The outcome is perpetually calibrated digital copies of the urban watershed for far more effective real time operational decision making and control. What if we had a hyper-accurate model of the urban watershed, combined with high quality real-time and forecast data on a continuous basis? What if this model/data platform was self-learning with powerful memory, whose watershed understanding improved with each wet weather event impacting the city and automatically recalibrated with changing conditions and new infrastructure? What if the same platform was bi-directionally connected to all critical assets throughout the urban watershed (gates, valves, pumps, tanks, tunnels, plants, etc.) via powerful edge computing networks? We could then fully understand the impact of what has happened in the recent past, what is happening now, and what is about to happen; all combined with the power and knowledge of what best to do about it. With the combined power of the Internet of Things, Big Data Analytics, machine learning and advanced control theory algorithms, the above vision is here today. Welcome to the Intelligent Urban Watershed. With it we can explore and stretch what is possible with immense understanding and optimal control of existing infrastructure. Robust digital copies of the urban watershed, bombarded with real time sensor and forecast data, provide powerful continuous modeling to optimally manage critical assets. The same platform can simultaneously run multiple future exploratory models of infrastructure solution sets for planning considerations. This approach greatly improves daily operations of collection system infrastructure and provides an operational knowledge aggregator to absorb all institutional knowledge from operators, planning engineers, and utility leadership. Perhaps best of all, Intelligent Urban Watersheds can generate hundreds of millions, and sometimes billions of dollars in CIP savings by getting the highest performance, capacity utilization and resiliency from legacy infrastructure. How is this possible? Advances in artificial intelligence now allow modelers to supplement sub-catchments in the model with data trained nodes. Doing so increases the model efficacy for these sub-catchments to within +/- 5 percent accuracy relative to observed data, and can subsequently raise the overall model accuracy to +/- 10 percent, 80 percent or more of the time. We no longer need to build so much conservatism into future conditions models to account for uncertainty based on poorly calibrated areas where the urban hydrology is particularly complex. We can now select the level of safety buffer or slack for future variations in urban growth and shrinkage with improved confidence of an optimal outcome. Figure 1: Intelligent Urban Watersheds: Converging models and real time data to understand and operate all watershed assets. Rainfall forecasting remains an imperfect science, but what is vastly improving is the power to understand with reasonable confidence the probability of a critical future threshold of precipitation over the urban watershed grid. Feeding probabilistic forecast data into Intelligent Urban Watershed platforms allows us to forecast flows throughout the city, optimally configure all critical assets, and alert crews to respond in advance of the onset of coming storms. We can also look into the past and test our control algorithms to understand the limit of what would have been possible if we’d have had perfect forecast data, and how that could have impacted control decisions. In other words, could we have effectively achieved the same level of control and outcome using probabilistic forecasting, as if we knew with precision and accuracy the exact future forecast? This allows us to discern the limit of what is possible with existing infrastructure, and pursue that limit to the extent that it continues to be cost-effective. Armed with a hyper-accurate model and an excellent understanding of past, present, and future watershed conditions, we can now apply advanced control theory strategies, such as agent-based optimization, where critical assets such as gates, valves, pumps, and tanks are operated by software agents co-located with the assets they are responsible to control. Think of these agents as commodity brokers, all talking to each other every few minutes in order to make optimal buy and sell decisions for their own selfish ends. In this example, the commodity they are trading is wastewater capacity in the form of conveyance, storage and treatment, or the service of getting rid of excess flows at each location. Most agents are both consumers of downstream capacity as well as sellers of capacity to upstream consumers. They are each provided supply and demand schedules of prices and quantities at which to buy and sell wastewater capacity. If all available capacity exceeds their willingness to pay, the only alternative is to overflow and relieve their excess flows to receiving waters. The above approach makes wastewater capacity fungible and empowers the entire system to work as a well-tuned machine – dynamically, optimally self-reconfiguring in response to each unique wet weather event. As a result, we are seeing 25 to 75 percent reductions in overflow volumes at a typical annualized price per gallon of roughly one cent or less. South Bend, Indiana, for example, has eliminated dry weather overflows and reduced wet weather CSO volume by 75 percent, or 1 billion gallons per year, for roughly one penny per gallon. 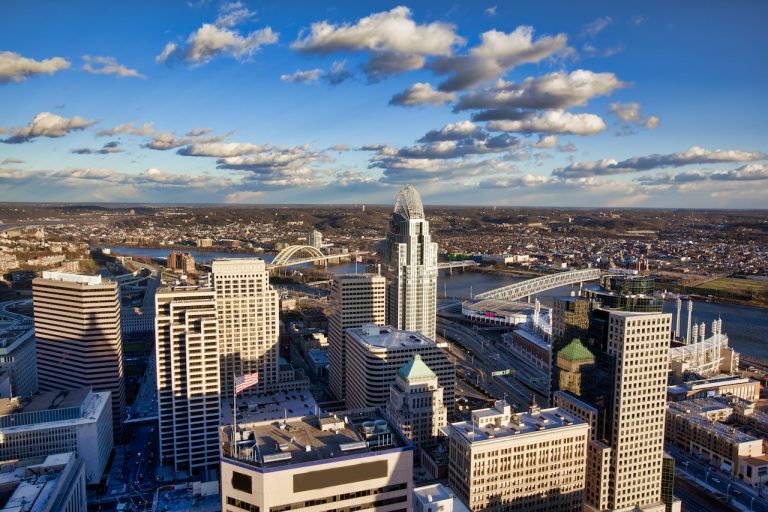 Evansville, Indiana and Cincinnati, Ohio are seeing overflow reductions for less than a penny per gallon because they are using the Intelligent Urban Watershed approach with already-existing assets; effectively providing a software upgrade to their sewer systems. In the case of Evansville, the improvement to cost-effectiveness is nearly two orders of magnitude, as the average traditional CSO mitigation cost is $0.31 per gallon, annualized. Buffalo, New York is building large inline storage vaults to take advantage of their massive wastewater lines and turn them into managed conveyance and storage systems; and yet, the cost is still only two to three pennies per gallon of overflow reduction. 21st Century Tools are empowering clean water utilities all over the U.S. to understand, operate, and increase the resiliency of legacy infrastructure throughout urban watersheds. The same platform can substantively increase the utility’s efficacy in planning and implementing future infrastructure as well. A large handful of SWAN North America member utilities are among those moving in this direction and enjoying the respective outcomes and benefits. Is this technology being adopted in Washington, DC? Harnessing the power of technology can optimize utility’s investment and make their precious financial resources go further. Well said Tim!